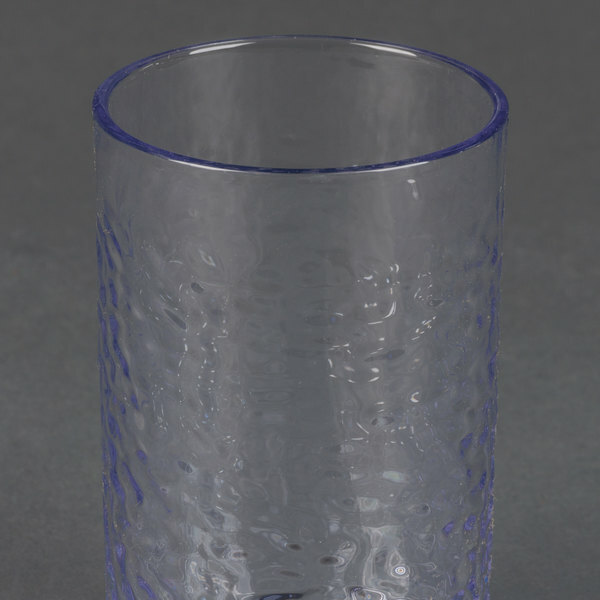 Serve cold beverages in style with this Carlisle 550807 Pebble Optic 8 oz. 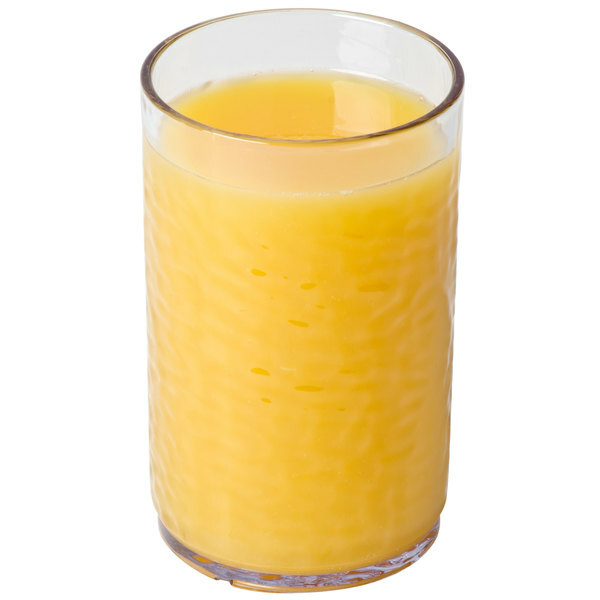 clear tumbler! Made of impact-resistant SAN plastic, this tumbler has the look and feel of glass with the convenience and durability of plastic. It is stain-, break-, and chip-resistant so you can confidently serve guests in an outdoor environment without the worry and hassle of broken glass. 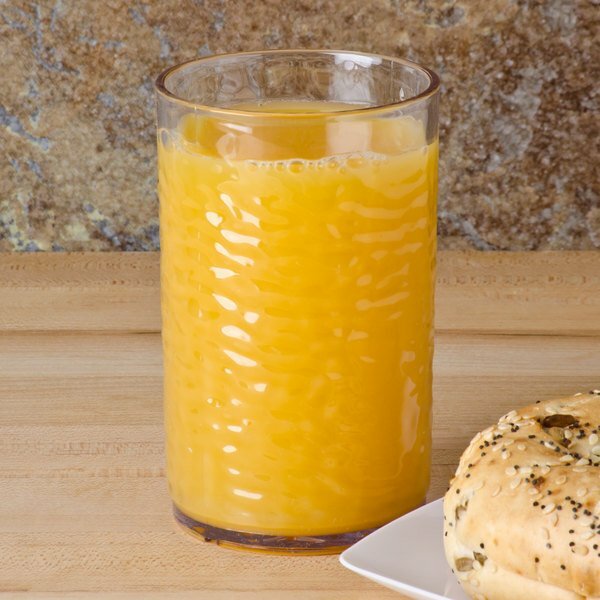 Great for orange juice, milk, water, and soda, this tumbler provides a unique drink presentation. 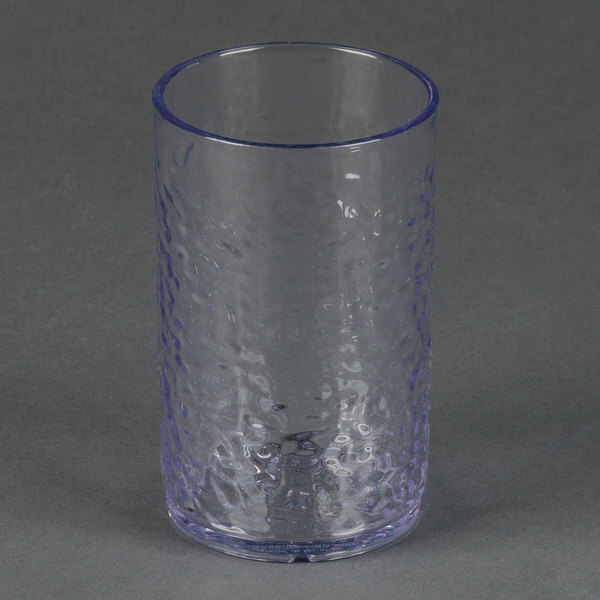 Versatile in use, you can even serve mixed drinks and cocktails in this tumbler at your poolside bar or outdoor restaurant! 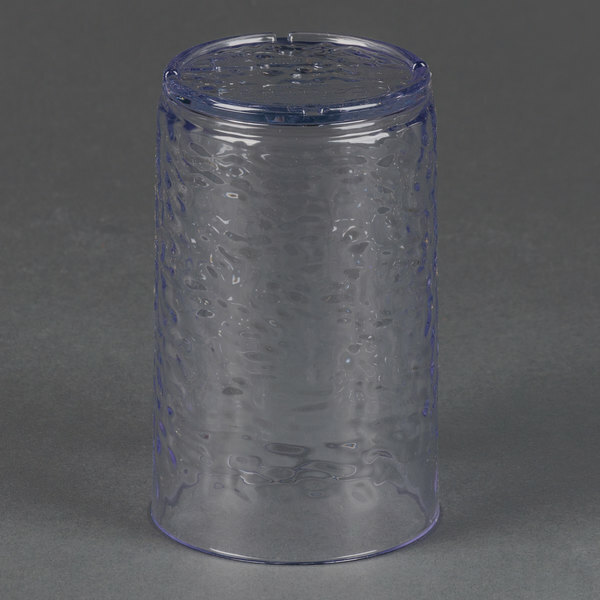 Designed with a thick, sturdy base, this tumbler rests easily on bars, tabletops, and trays. Thanks to the clear construction, you can showcase each beverage. 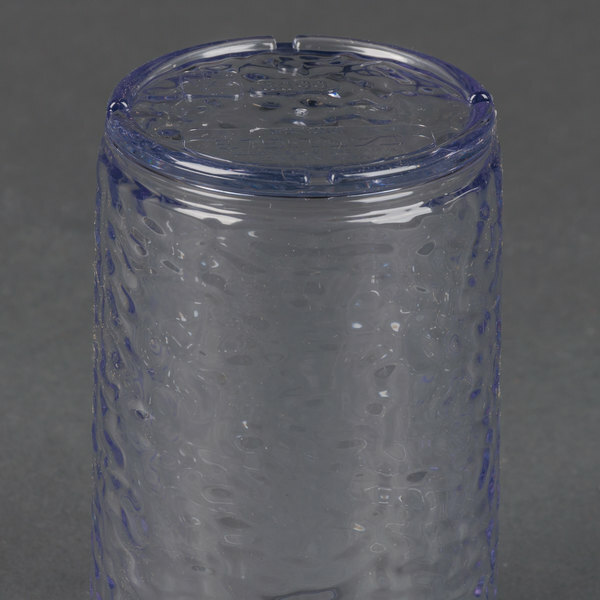 Plus, the pebbled design hides scratches and provides an attractive alternative to smooth tumblers. 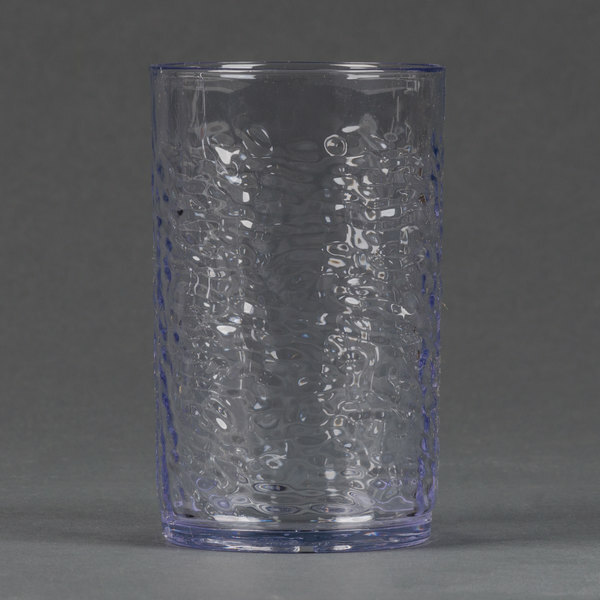 Add durability and style to your establishment with this Carlisle tumbler! Rim-Full Capacity: 9 fl. oz.